Most of my friends and family can tell you that fishing is one of my favorite pastimes. I try to spend as much time on the water as possible, which unfortunately is not often enough. I happen to live in upstate New York, which offers anglers a tremendous number of waters filled with fish that more often than not are perfectly willing to bite. There are times, though, that even the best of fishermen are at a loss to put a fish in the boat. What’s a person to do? Umm — in a nutshell, I cheat. Or at least it seems like cheating. 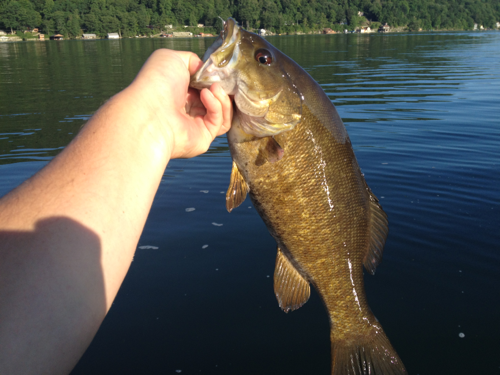 On a recent fishing trip with my Dad on Skaneateles Lake, one of New York’s famous Finger Lakes, we were having a hard time getting the fish to bite. 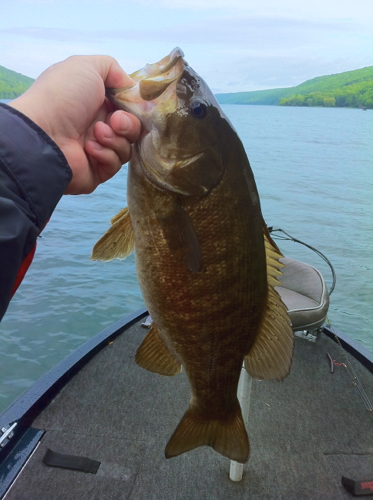 After an hour of so of unproductive casting in an area I knew to traditionally hold large numbers of smallmouth bass, I decided to implement some of the technology now available to anglers. I opened my waterproof boat bag and got out my AquaVu underwater camera. 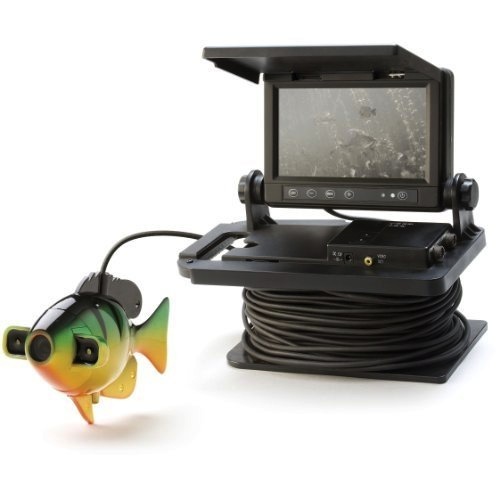 An AquaVu camera is a video monitor connected to a cable that ranges from 50 to 80 feet in length, at the end of which is a video camera disguised as a sunfish. This allows anglers to directly observe fish, aquatic vegetation, and structure that lie under their boats. It’s a neat setup, and from time to time large fish will even attack the camera, mistaking for an easy meal. A built-in LED lighting system allows anglers to see for several feet, even in murky water conditions. I quickly realized why we weren’t catching fish within moments of the camera reaching the lake’s bottom. I immediately saw a large catfish, a small school of decent-sized smallmouth bass, some sunfish, largemouth bass, and yellow perch; all of which were positioning themselves approximately two feet off of the lake’s bottom in 16-17 feet of water. I realized I had been fishing far too shallow all morning and quickly adjusted my rod and lure setup to place my bait in front of the fish. My Dad and I quickly began catching a number of bass over the next two hours. We had a blast! I know what some of you are thinking; it’s unfair to the fish to place a camera overboard. My answer is perhaps it is unfair in some ways, but it’s also quite an education to see these living creatures in their natural habitat, quite unaware of your presence. That provides invaluable lessons for anyone interested in the outdoors. Thanks to AquaVu’s underwater camera technology, just about anyone can take a look at what’s going on under the waves too.